The annual National Association of Broadcasters Show takes place April 6-11 in Las Vegas, and ASC members and International Cinematographers Guild Local 600 will be taking part in portions of the event programming. With the advent of previz, on-set compositing, virtual production, photoreal VFX, and DI finishing for multiple output formats, a project’s “look” is often manipulated far from the set. 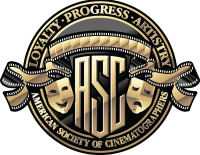 Join Jim Berney, visual effects supervisor; Andrea Chelbak, senior colorist, Deluxe; Ryan McCoy, senior previs/postvis supervisor, Halon, and ASC President Kees van Oostrum in a discussion about where the art of cinematography begins and ends today, and about how the cinematographer’s role is no longer fixed, but evolving. Who should attend: Cinematographers, filmmakers working in previs, VFX, editorial and post; directors and producers; manufacturers of content creation tools and technologies. BOF panels are free to attend with any NAB Show pass. Don’t have one? Use the Code: BoF19 for a free Exhibits Pass.